Our practice encompasses the full range of activities associated with the development and financing of utility scale renewable energy projects and also incorporates unique expertise in distributed energy production, energy efficiency, energy storage, waste stream management and controlled environment agriculture. The APB team’s collective experience in the utility scale wind sector dates from the mid-1980s. For the last 15 years we have been at the cutting edge of wind energy project development and finance. 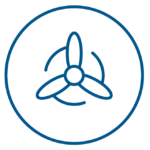 We have broad and deep experience in project and portolio acquisition and divestitures, site acquisition, offtake and hedging agreements, operations and maintenance agreements, turbine supply and BOP agreements and REC sales agreements. We did pioneering work during the past decade on turbine frame acquisition agreements and have completed numerous tax equity and debt finance transactions in the sector. We represented the developer in the negotiation of the nation's first offshore wind PPA and represent two of the largest global offshore wind developers in their offshore wind development activities. Our utility scale solar experience dates from the middle part of the last decade and encompasses acquisition, development and financing transactions throughout the sector. 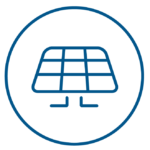 We have negotiated several billion dollars of solar panel acquisitions, involving both project specific and frame agreements, and have been involved in the acquisition and subsequent development and financing of individual solar projects and portfolios throughout the United States. We have comprehensive expertise in the space, including site acquisition agreements, offtake agreements, panel supply, EPC and BOP agreements, O & M agreements, SREC monetization, joint venture agreements and tax equity and debt finance agreements. The firm has extensive experience with the project development and financing of utility scale solar projects in Latin America, led by one of the few top tier project finance practitioners combining native Spanish language capability with deep regional commercial and cultural expertise. Distributed production of energy is of increasing importance to the renewable energy sector and may prove to be the dominant model for the delivery of electricity in the future. However, given the size of these transactions, most project finance law firms are structurally incapable of providing cost effective representation. 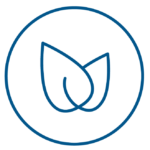 Our structure, focused on senior practitioners operating in a low overhead environment, allows us to operate within the budgetary constraints required for commercial and industrial projects to succeed. 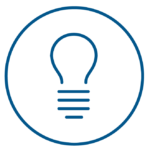 We represent several of the leading national C & I developers in the solar and CHP spaces and have repeatedly demonstrated our ability to execute on time and on budget. 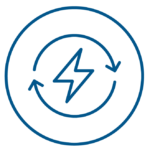 Battery storage is a transformational technology in the sustainability sector, converting low cost intermittent energy into high value dispatchable power. 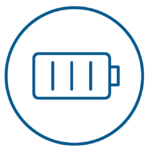 We represent the project development arm of one of the leading U.S. battery storage manufacturers and one of the largest global battery storage project developers. Recent experience includes the preparation of a comprehensive storage RFP response for a major California utility, structured around the deployment of numerous storage units throughout the utility’s service territory. The energy efficiency market, both retrofit and new build, has enormous potential but has proved frustrating to many market entrants due to problems involving savings measurement, the pass-through leasing structure of the real estate industry, complex tax and accounting issues presented by traditional ESCO models and disproportionately high transaction costs. We represent the nation’s leading efficiency finance platform which directly addresses these structural impediments through an “efficiency as a service” model. We serve as lead transactional counsel to that client and have additionally assisted in the preparation of form documents enabling increased transaction velocity and lower cost while including necessary protections to the client and its lenders. The U.S. agricultural sector is in the early stages of a multi-billion dollar project financed build out of technology driven controlled environment greenhouses. We are working with the first equity fund dedicated to financing this build out and have pioneered the application of project finance techniques to this rapidly expanding sector, effectively de-risking supply, off take and construction. We drafted and negotiated the industry's first executed produce purchase agreement (PPA) with many of the major grocery retailers in the United States, incorporating long term take or pay commitments on a fixed price escalating basis.